When it comes to Shopify vs Prestashop, they’re closely fighting for the same market. Both aimed to be ‘out-of-the-box’ ecommerce solutions, with user-friendly interfaces and drag and drop functionality. However, there is a major difference: Prestashop is free. Although Shopify is arguably the ‘go to’ instant ecommerce platform thanks to its prolific advertising campaigns, Prestashop is a serious Shopify rival. Our overview of both platforms, their pros, cons and costs will help you choose the best e-commerce platform for you. Whatever ecommerce CMS you choose, you need to know the keywords you are ranking for in Google so that you can optimise your website. Our Search landscape service tells you what keywords your website is ranking for – it’s gold dust for anyone running an ecommerce business. If you choose to use a recognised third-party gateway, the transactions fees mentioned above apply. However, there is arguably more potential to make more sales through third-party gateways, like Paypal. Should you choose to opt for an external payment process, you need to register for a merchant account with the third party which may incur a transaction fee or monthly payment. 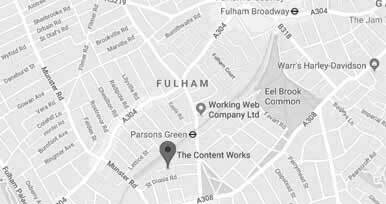 Here at The Content Works, we specialise in Technical Website Audits. We’re here to find the issues on your website that are causing you to lose visitors, see poor conversions rates and ultimately we highlight the issues costing you money. Take a look at our services page to see the technical website audits we offer. One of our most popular services for ecommerce clients is Website Competitor Analysis; we can help you learn from your rivals and get ahead. Call us on 0207 305 5599 to discuss your situation and we’ll show you how we can add value to your business.